Right now we are cherishing the moments of being a family of two before the bambino arrives. We decided to treat ourselves to a date night at one of our Fort Worth favorites; Eddie V’s. We actually just sat in the Lounge (aka the bar) and listened to a great jazz band while enjoying several appetizers, wine (for hubby) and dessert (for me) . 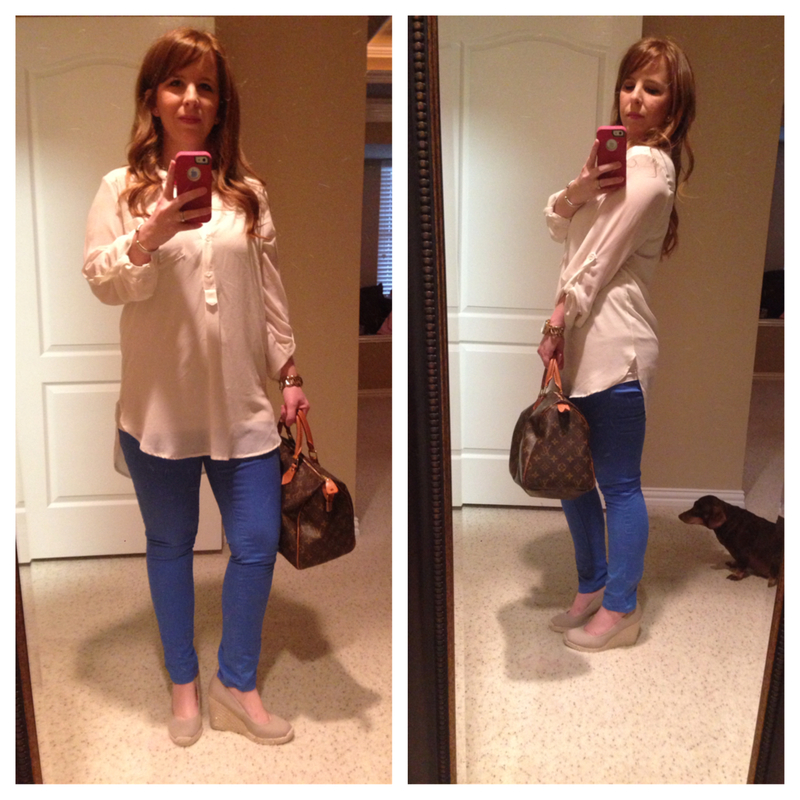 Here is a quick OOTD: The top and shoes can be SO versatile. GREAT investment pieces! ALSO: EXPRESS has a similar [Copy Cat] with TONS of colors to choose from.